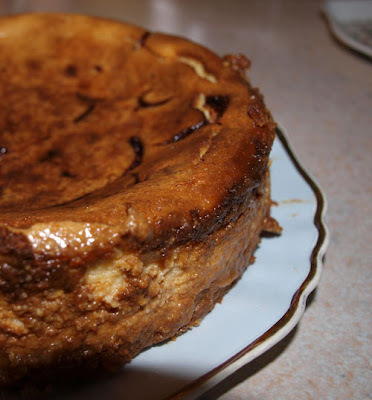 Last weekend I made this cheesecake, it had a lovely texture, but I found the cheese mixture a bit thin for swirling the blackcurrant puree through and most of it sank to the bottom making the base a bit soggy. I didn't have any chocolate to flake onto it, it does need something as it doesn't look too exciting. 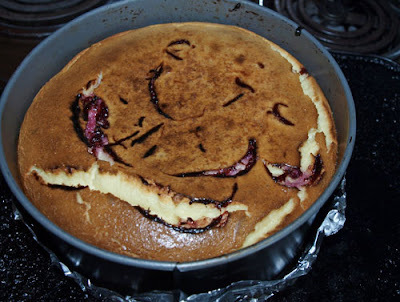 I may try it with a topping of stewed blackcurrants, it tasted great though and everyone enjoyed it. and strain through a sieve. You should have about 100ml of puree. 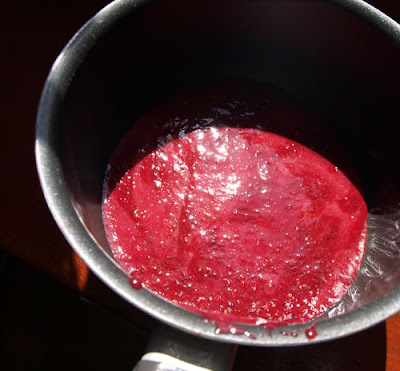 Place the puree and sugar in a small saucepan set over a medium heat and stir until the sugar has dissolved. Simmer for 8-10 minutes, until thickened, and set aside to cool. 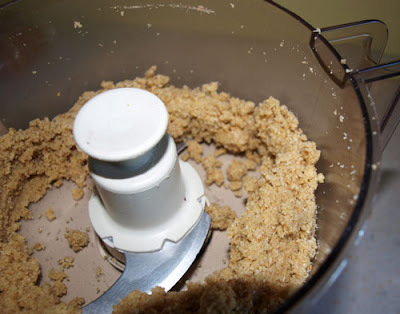 To make the base, place the bisucuits in a food processor and process until crushed. 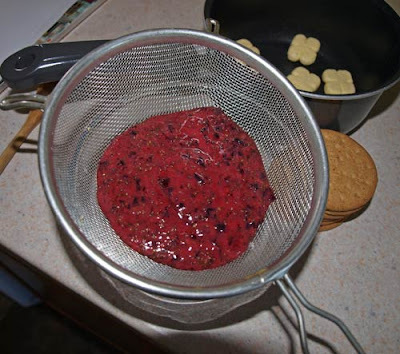 Add the ground almonds and butter and blend once more, until combined. 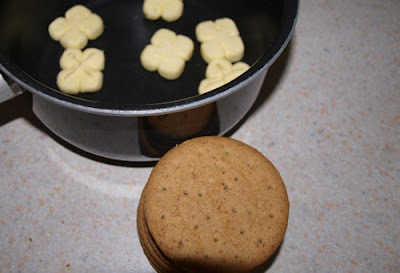 Grease a 20cm spring form tin and line the base with non-stick baking paper. 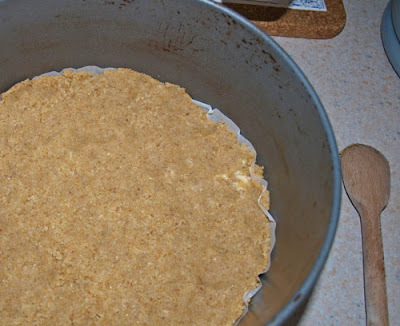 Press the crumb mixture over the base and refrigerate until firm. 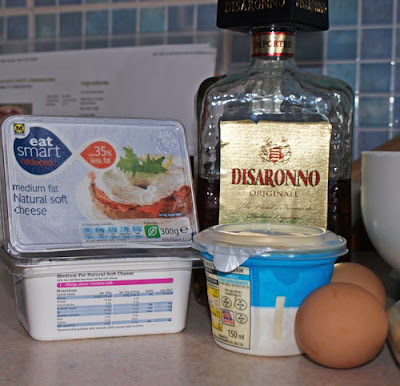 For the filling, blend the cream cheese and amaretto in a food processor until smooth. Add the sour cream, eggs, sugar, and vanilla, and process until combined. 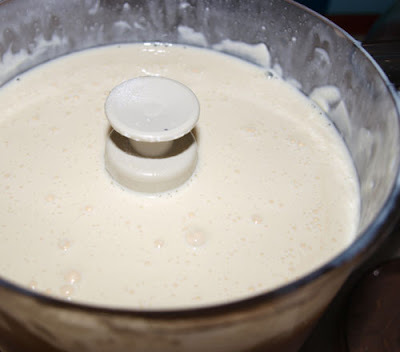 Pour the cream cheese mixture over the base. 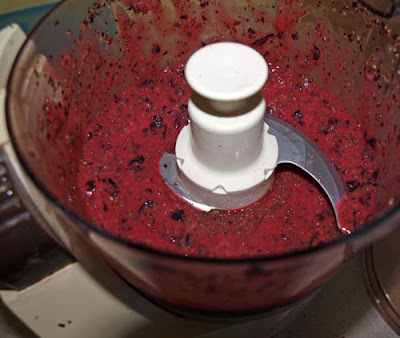 Drizzle the blackcurrant mixture over, and swirl lightly with a knife. Bake for 1 hour, until firm to the touch. Leave to cool at room temperature, and refrigerate until ready to serve. Decorate with chocolate shavings and serve in wedges. I notice you said the cheese mixture was a bit thinner than you anticipated. I find that happens when I use 'light' cream cheese. Now I never thought of that Net! Thanks for that, I'm sure that would explain it!